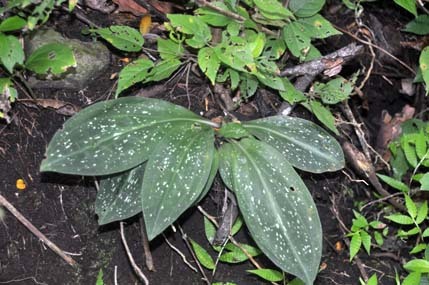 Found in Nicaragua and Costa Rica in shady tropical forests at elevations of 1100 to 1200 meters as a small sized, warm growing terrestrial with several, basal, oblanceolate, undulate margins, acute, pale green with white blotches or spots, gradually narrowing below into the petiolate base leaves that blooms in the late winter on an erect, [22 cm] long, to 8 flowered inflorescence enveloped by green gray bracts and has lanceolate, greyish white, glabrous floral bracts. CAUTION!!!!!!!! 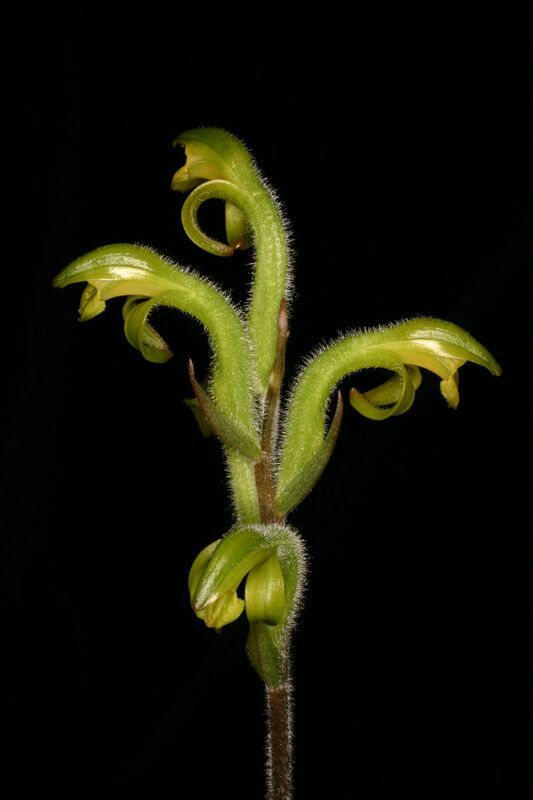 The photos by SITF above are basically correct to the flower drawing by Hamer but the photos do not match the written color descriptions of the plant stem sheaths which are gray and the flowers that are intense yellow and the floral bracts are described as glabrous and grey white. 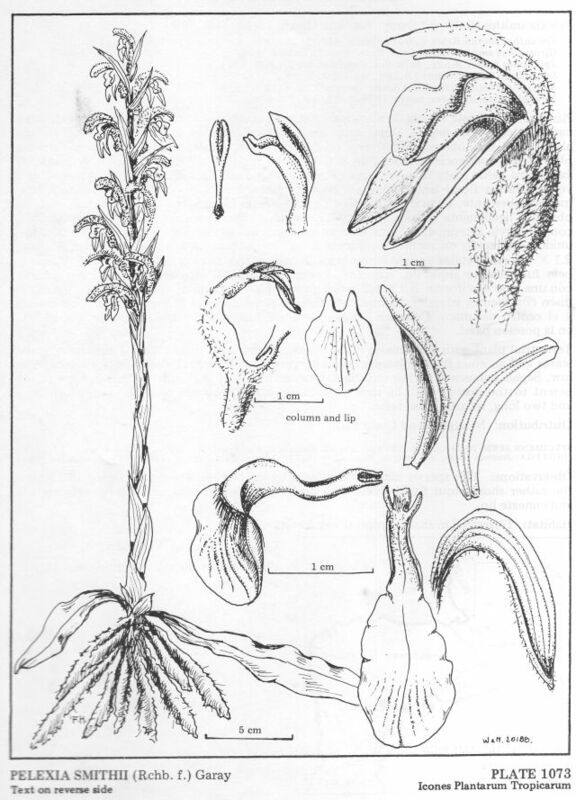 The photo by Whitten is basically similar to the drawing by Szatchetko but differs in the pubescence on the ovary and sepals. 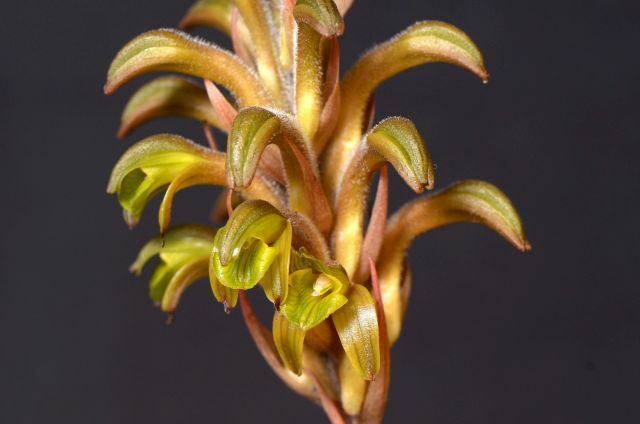 The plant photo by the Nicaragua Foto Revista Website appear to be correct to Hamer's descrition. 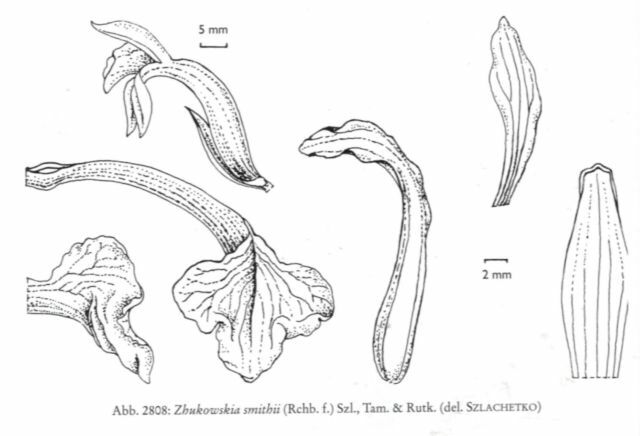 Szlatchetko's drawaing does not depict the plant or inflorescence. 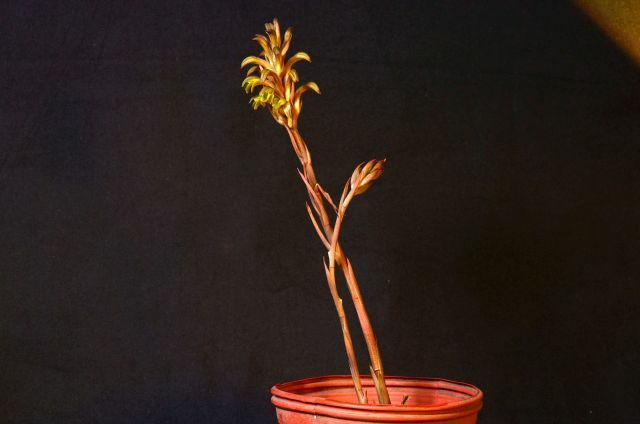 Therefore please use caution with any of these determinations other than the leaves of the plant photo. I do not have access to Rchb.f's original description or any drawings that he may have made to make a personal determination!